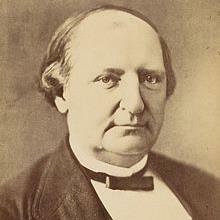 Franz Wilhelm Abt (22 December 1819 – 31 March 1885) was a German composer and choral conductor. He composed roughly 3,000 individual works mostly in the area of vocal music. Several of his songs were at one time universally sung, and have obtained a more or less permanent place in the popular repertory. During his lifetime, Abt was a renowned choral conductor and he spent much of the last three decades of his life working as a guest conductor with choirs throughout Europe and in the United States.